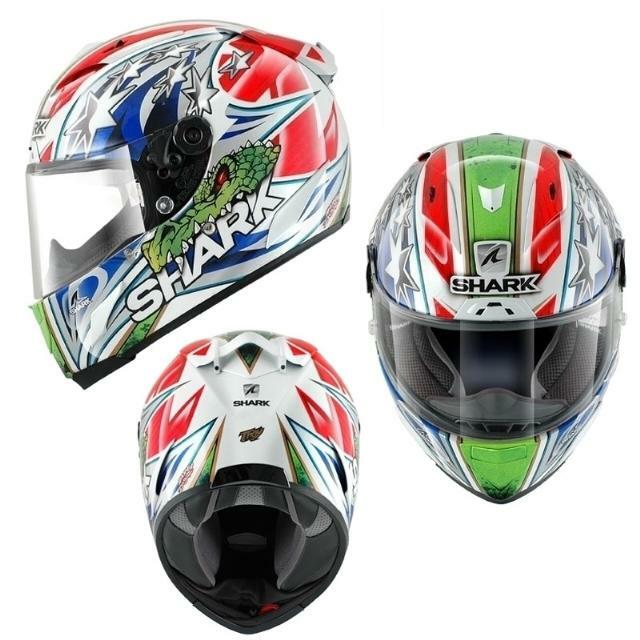 The SHARK RACE-R Pro, new high end model made of carbon/aramid fibers, has been developed in the first place for our top level racers: Moto GP, WSBK, Moto 2…. Can you imagine the level of requirement these riders have? We therefore had to ensure the essential criteria, giving the upmost importance to the global functionality and ergonomic: lightness, stability, comfort, precision, aerodynamics. Because the request from top racers is dual: safety and on the leading-edge technology. SHARK must protect in critical situations, and must also contribute to their riding performance. You sure know that you concentrate best in a safe environment. The SHARK Race R PRO gives you the same level of excellence as it does to our elite riders.